The First Niagara Rochester Fringe Festival took place Sept. 19-23 and featured performances and exhibits by many RIT students, faculty and staff. “Spirits Within,” pictured here, was a collaborative effort among FuturPointe dancers, Eastman School of Music and RIT’s 3-D Digital Design students led by professor Marla Schweppe. 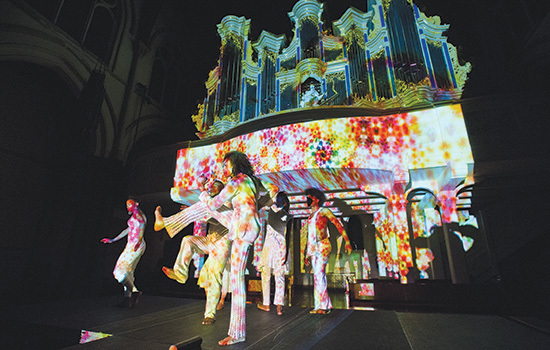 The graphics, created by the students, were projected against a restored organ in Christ Church.